Are you in search of mpo fiber optic solutions or a way to customize your mtp or mpo fiber optic cable needs. Then you have come to the mtp cable experts. 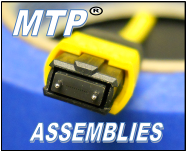 Our extensive mtp training at the mtp connector manufacturer, USConec, has helped us to produce the highest quality and tested mpo fiber optic cable assembly manufactures in the United States. With our Great fiber optic prices and knowledgeable staff here to assist, you’ve come to the right place! You’ll find reliable quality, consistent service, and top quality products. Our vast inventory is able to satisfy the needs of various manufacturing companies. When you’re in need of expertise in fiber optics, the our team is standing by to assist. You can quickly shop our online inventory, which makes it possible to enjoy a convenient shopping experience you won’t find anywhere else. With so many advantages—why trust anyone else for your MTP fiber optics cable needs? We look forward to assisting with your Multi fiber connector cable needs. Welcome To The home of MTP and MPO fiber optic cable. Reliability, consistency, and quality is what we put behind every MTP Fiber optic cable assembly we manufacture. 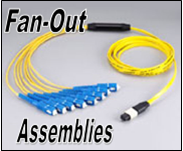 We supply products such as MTP fiber optic Connectors, MTP fiber optic cables, MTP Cassettes, MTP fan out cables, Custom Multi fiber cables, MTP/MPO multi fiber cable, MTP / MPO Fiber optic pigtails, ribbon fiber optic cables, and much more. Our manufacturing and distribution facility are located in USA.. Every MPO Fiber Optic Cable we manufacture is put through our stringent quality control standards and procedures so there are no problems on the customers end when the cable is received. 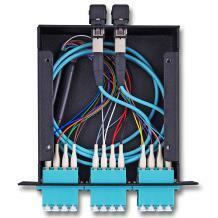 All fiber optic cables are guaranteed to meet and exceed the customers expectations.